In response to the growth of the global heat shrinkable film market, Bonset America Corporation will be increasing their film capacity from early 2020. 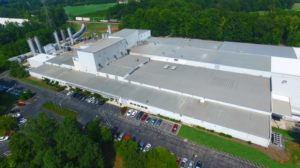 The forthcoming increase will add an additional 30% in overall PETG film production capacity at Bonset America Corporation. Bonset America along with their parent company C.I. Takiron manufactures heat shrinkable films for use in full body labeling applications, bundle packaging and tamper evident applications. For additional information, please contact Karl Yancey, Director of Sales Bonset America Corporation.